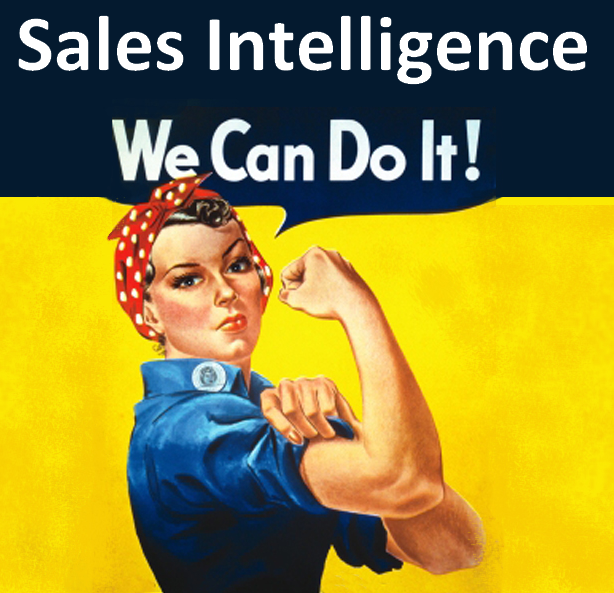 How to use Sales Intelligence to sell better and more! (Part 2) | Sparklane . In the first part of this article, published yesterday, we saw why Sales Intelligence is proving to be crucial to sales people in the context of the growing digitalisation of their activity. We are now going to delve more into the practical aspect of things and give you some practical tips, methods and tools that will help you get started. 1 – Become your own source of leads! Despite what we’re told, the marketing department’s actions are not designed to generate all the leads for B2B sales… The sales people must also take an active part in lead generation! To do so, the sales person must learn to become a source of leads themselves, via maximum optimisation of their network, whether this is online or offline. For example, this involves having visibility on professional social networks such as LinkedIn and Viadeo, as well as on personal networks like Facebook. 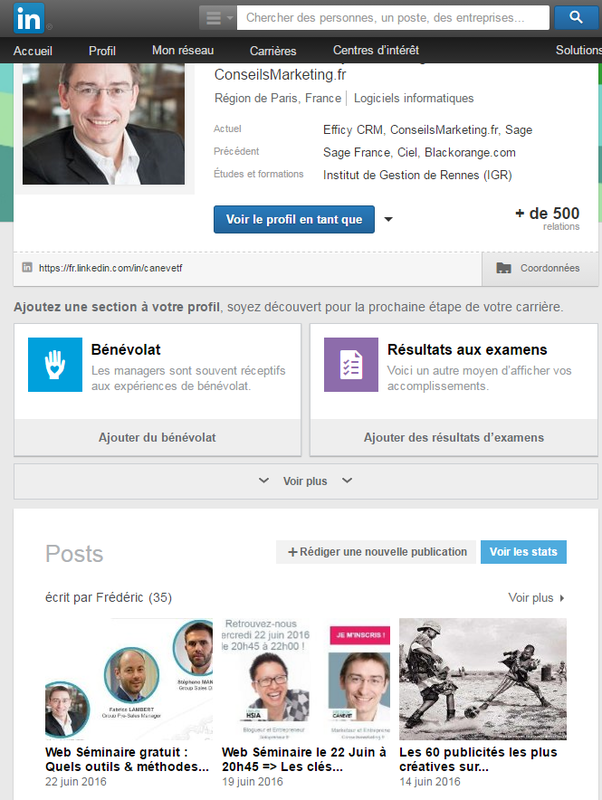 – Put a “cover” of the company’s offering on your LinkedIn profile. – Publish blog articles or interesting information on LinkedIn Pulse so as to give them more visibility and add them to your profile. – Publish a “summary” with your company’s sales offerings, livening it up with multimedia content (videos, SlideShare, images, etc.). – Share company content (videos, events, etc.) via, for example, synchronisation of a blog/Twitter account and your LinkedIn profile with Zapier. As a sales person, you must also count on your own actions to generate word of mouth and recommendations from your clients. This can be done via the tools your company makes available to you (greeting cards, goodies, etc. ), and also pro-actively, for example, by calling back key clients, or via emailings sent from your CRM system or directly to your LinkedIn contacts. And you can extend this visibility by publishing professional information (photos at trade shows, product news, etc.) on your personal profile, particularly on Facebook, from time to time. You may well be surprised by the number of people in your entourage that do not know the company you work for or even what exactly it is that you do for them! In that respect, the sales person can quickly become their own business generator, and come across as an expert in their field, thus creating their own network of business “referrers”. 2 – Focus on the leads with the greatest potential, and become proactive! Thanks to Sales Intelligence, the sales person no longer has to wait for their telephone to ring or for a white paper to be downloaded in order to contact a lead… they become proactive! For example, with tools like Sparklane, the sales person is informed of executive appointments, fund raising, moves, etc., in short they’re informed of all kinds of business signals that will enable them to prioritise their actions depending on the context and maturity of their targets… Here we’re talking about predictive lead scoring. The solution analyses the context of the leads, classifies them in order of priority and then sends the sales person real-time alerts, indicating which are the relevant leads to contact. And this intelligent data analysis is not carried out just for lead detection; it continues throughout the sales cycle, for example, in the event of changes in the company, or in the network of the company contacts. Moreover, with B2B IP Tracking tools, such as Web Leads Tracker, you can also find out which companies are visiting your company website, and then identify them on professional social networks in order to trigger an initial contact well upstream of the suppliers’ short list. Let’s not forget the power of emailing tools, which enable you to analyse the clicks on the links of a newsletter or an email, so as to carry out behavioural profiling of the lead. And with CRM tools like Efficy.com, Tilkee.com, Salesforce.com, and Microsoft Dynamics the sales person can find out whether a client has consulted their quote, and even which pages they’ve read! This gives them a considerable advantage over their competitors as it is possible for them to call up the lead just after they’ve read the sales offer, with an accurate view of the time taken to read each page and the date of consultation. With Sales Intelligence, the sales person is no longer passive and can take the initiative with the sales relationship, to gain the advantage over their competitors, and guide the client in the sales cycle. At the same time, Sales Intelligence aims to automate tasks with low added value, meaning that you can instead dedicate time to human contact when it’s most important. 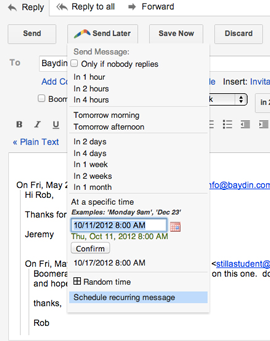 For example, tools like http://www.boomeranggmail.com/ let you pre-programme follow-up emails (for example, if the client has not replied within X number of days to a sales offer). You can even automatically programme recurring messages, for example, to sell accessories or send a service offer. Alternatively, there is http://emailga.me/ which also lets you automatically programme messages (for example, a person in the technical department who has to send you a document in X number of days). 3 –Sales Intelligence, the sales person’s crystal ball! Thanks to this information and pro-active alerts, the sales person is able to anticipate a deteriorating sales relationship. In fact, in most companies, the sales person is very involved in the pre-sales and sales process but is virtually absent once the deal has been made. However, this lack of involvement by the sales person is potentially fatal for the company if the client becomes dissatisfied with its products and services. 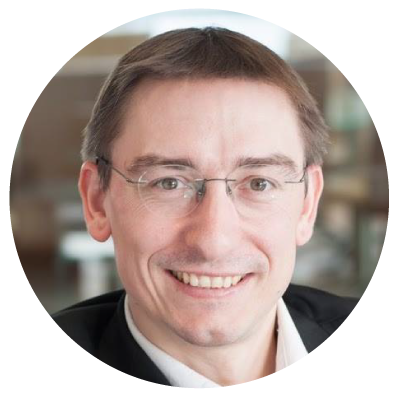 4 – The contextualisation of information, the new hobbyhorse of Sales Intelligence. 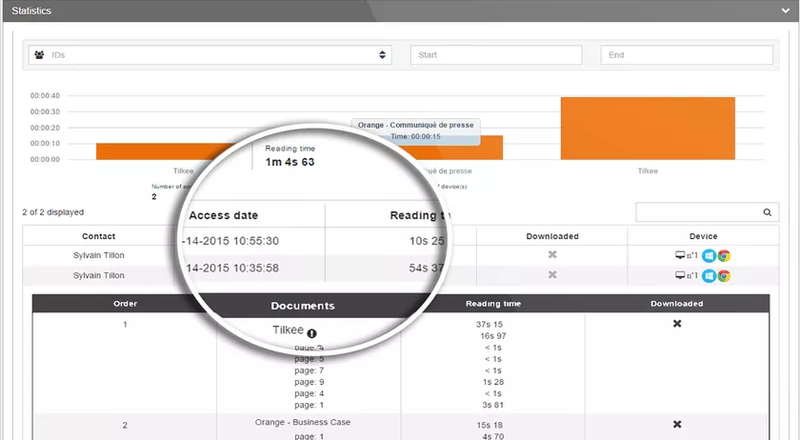 Sales Intelligence provides another new service via the contextualisation of information. In fact, with modern CRM systems, the goal is no longer to obtain information but to obtain it at the right moment via the most practical medium. 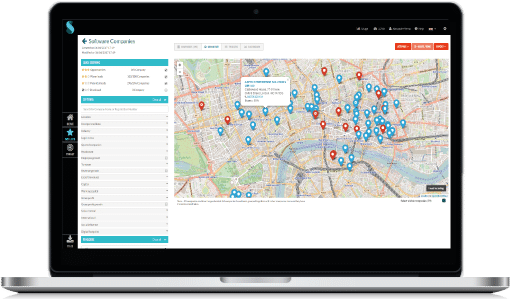 On the one hand, as we have seen, there are solutions such as Sparklane which let you aggregate and analyse all of the information available on a company in order to produce a scoring of its context and prioritise the leads. This type of tool enables you to contextualise the information on the companies targeted by the sales person. And, what is more, they connect easily with your CRM solution. On the other hand, there are also Sales Intelligence applications such as discover.ly and www.evercontact.com which enable you to contextualise the information on a person, depending on whether you’re in your messaging software, on Twitter, on Facebook, etc. All this information lets you improve the quality of your prospecting. Sales Intelligence is the logical extension of the evolution of the sales person’s profession. The latter has benefited for a few years from tools (CRM, etc.) and methods (BANT, SONCAS*, etc.) for rationalising their work, but they did not have the tools for automating part of their work. In this context, Sales Intelligence represents progress in the simplification of the use of this information. It is therefore highly likely that Sales Intelligence solutions will incorporate more and more video gaming elements (classification, ranking, etc.) in the heart of their applications in the coming months. 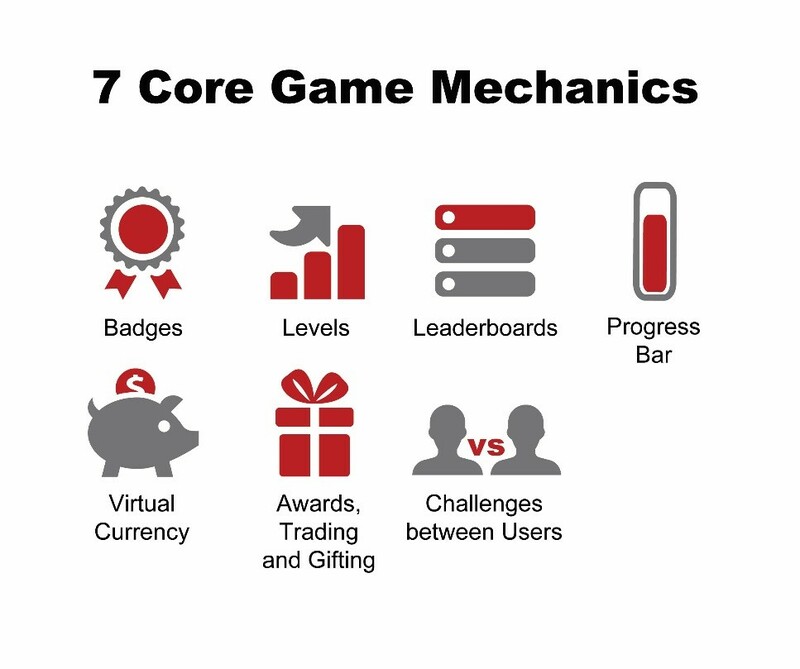 The goal is to move from the development of sales motivation to “addiction” as we can see in video games, so as to get sales people “hooked” as they want to remain the number 1 in the sales rankings, or obtain access to a Top Sellers club, etc.